The Grand Sierra, location of the first Biggest Little Furry Convention (May 3-5, 2013), was packed with enthusiastic crowds of casino visitors. A person with free time or money couldn't avoid fun if they tried. It had restaurants, swimming, bowling, gambling, movies, go karts, and more attached to a large and classy hotel. Holding a furry convention there just made things extra outrageous. Even with the planned options, the place offered good fun just for wandering around. A buddy and I wandered out a side exit that led nowhere special. On the way back in, I was stopped by a blonde woman who looked like a vacationing professional. She gestured with an astonished look, and asked, "What's all this about?" "It's a theatrical thing. It's for a Furry convention", I said. I explained about people who like role-playing and creativity. She asked about the costumes. "No two are alike," I said, "I don't build them, but there's a lot of artists who do it here." "You're doing pretty good at explaining this," she said. "I just don't know how to take it seriously from a big talking dog!" "You're doing pretty good yourself," I told her. "And that's the point. Being silly!" Silly doesn't begin to describe the reactions from swarms of onlookers. They gathered outside the con entrance and craned their necks to see what the furries were doing. Teens out at the movies would shriek at the sight of fursuiters. Young and old people wanted photos, high-fives, and explanations. A group of kids begged me to sneak up on their friend, and tease him in front of his girlfriend. He was cool about it. Random fun validated my crazy last minute decision to drive in from San Francisco with a buddy. I booked a room 2 nights before the con. Because the hotel had a casino, they were extra nice and flexible to cater to potential gamblers. At check-in, they honored my special request to adjust the late reservation to the reasonable con rate. I was con attendee number 700. According to informal conversation, the end total topped 750 people. [Officially, there were 704 attendees.] It broke records for a first year con, and so did the 130-plus members of the fursuit parade. I dig the dapper guys at 3:25... guess who it is at 3:50? Reno represented some American culture that I haven't spent much time with. (The modest amount I saw from the con did, at least.) It was described to me as "the derpy little cousin of Las Vegas". With my first visit, I noticed: snowy mountains towering over a desert, people smoking inside like the 1990's, and thick midwestern and Texan accents. While walking through the parking lot, you could tell who stood out among the usual California and Nevada license plates. Interspersed with bumpers reading "Proud of my Reno school kid" or "guns guns guns", there were colorful cars rocking rainbows, paw prints, and "Occupy" stickers. At the dance floor (where I spent most of the nights), I spoke to Lory, a barkeep who was staffing the mini-bar, serving furry-themed cocktails. I asked how long she had worked for the hotel, and what she thought about the con. She had worked there for 10 years. She thought furries were way cooler than the usual. "Oh god," she said with an eye roll, "The PTA conventions are sooooo exciting." I asked, did she think it was a little weird? "Oh, I don't think it's weird at all..." I wondered if she was being diplomatic, cocking an eyebrow towards some furry grinding, and then she added: "...I'm glad you guys bring good music! Oh, do you think you guys rave it up? You should see the nurses' conventions... I'm being sarcastic. Ha ha!" Staff at the front desk told me without asking: "We love you guys!" Patton Oswalt has relevant thoughts on red staters, gay Vegas spectacles, and hedgehogs with boners [3:55 onwards]. There was a macho booze-and-strippers element among the gamblers and visitors. There seemed to be a fair amount of conservative "red staters". It wasn't unexpected in that part of the country, but it's different from other urban furry events I've been to. It made an interesting mixture. At one point, I left my key in my room and had to ask for another. For casino security, masks were strictly banned near the gaming floor. I strutted through in shiny pants, a tail, and fluffy rainbow accessories, holding my costume head. It drew a lot of hairy eyeballs. Old people pretended to be non-plussed while cranking their slot machines. A drunk slob loudly slurred remarks about furries being "gay fags who got no lives", while his female partner tried to gently change the subject. Sadly the mixed reactions did cause some danger and stress. I was informally told of at least one drunken attack. A fursuiter was chased and picked up by the tail, causing damage and leading to arrests and assault charges. I'm not certain but it may have happened more than once. The con sent out a recommendation to visit the bathroom and go places with a buddy. It's a reminder of progress this country could use, when differences cause such behavior even in a security-minded environment. But apart from a few bad individuals, in most cases, no lines were crossed worse than rowdy boozy curiosity, kids being kids, and gawkers asking to go in the con but denied without badges. I really didn't spend a lot of time doing planned con events. There were too many people to talk to and dances to do, and I wasn't planning to blog about it. But the con seemed to do well with organizing. Things felt professional, even simply judging stuff like the sound system, facilities, and general location. Having everything laid out in one giant room got a lot of praise. There seemed to be many good impressions for a first year con, and nobody I spoke to had any complaint. Califur wants to be permanent, so now they'll have to step up their game. At BLFC, I did casually go to one panel, the Fur Media live show that goes out on LiveStream. This one was themed "Furries in the military." They did a good job of entertaining, with fast and friendly chat, including audio and visual content like photos from fans. One speaker shared a great story about being adopted as a mascot, after his crew found out he had a fursuit! A culture of strict regulation on dress and costume certainly raised a great issue about fursuiters in the military. The Furry/military connection reminds me of WWII era pop culture... stuff like mascots or Bugs Bunny painted on planes (or even anthropomorphized planes in real life and cartoons.) I might have enjoyed a few frames of slideshow mentioning that stuff in the intro, but this was strictly about modern day furries. Furry fandom is politically neutral, but the term "pro military" isn't. While it's fair to have a forum for individuals in the military, where is the line between supporting individuals and promoting the military? Cultural critics describe the military "propagandizing" Hollywood for pro-war advertising (examples on Wired, Alternet, and the Huffington Post). It seemed like an issue worth considering with regard for fan culture. As an international fandom, it made me curious if there are ever any connections between furries deployed overseas, and foreign fans. Do panels about furries make a con inward-looking? For positive outward-looking activity at BLFC, there was a panel for Guest of Honor Wolfpup TK's charity work with Furs For Life, and of course the con had its own charity too. For more about that, I'll leave it to official con news. Why draw the conclusion that the older generations of Americans exclusively cause the trouble with the fursuiters? That kind of behavior can be found in all generations. Like the may day protest fora brief example. I had heard that Arizona once wanted to segregate in half because of the intensity of different views in that state. 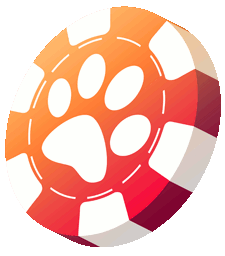 "The Grand Sierra, location of the first Biggest Little Furry Convention (May 3-5, 2013), was packed with enthusiastic crowds of casino visitors. A person with free time or money couldn't avoid fun if they tried. It had restaurants, swimming, bowling, gambling, movies, go karts, and more attached to a large and classy hotel. Holding a furry convention there just made things extra outrageous. " "A drunk slob loudly slurred remarks about furries being "gay fags who got no lives", while his female partner tried to gently change the subject." I found this article to be very amusing and I enjoyed reading it.